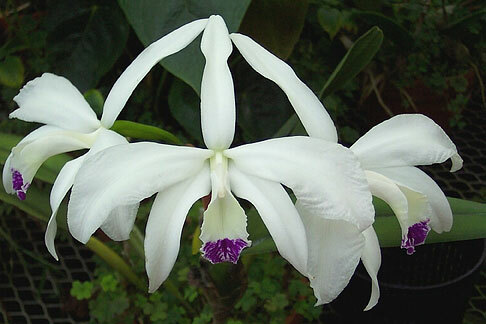 A totally delightful fragrant Cattleya species producing 3-6 pristine white flowers on each compact inflorescence ! 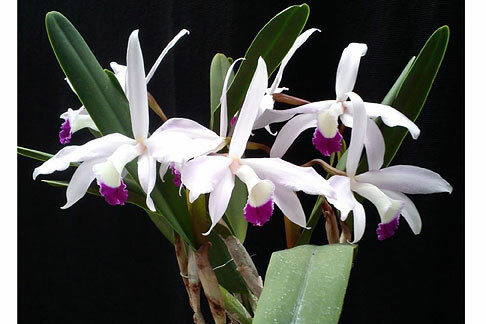 A small to medium size species, endemic to Bolivia, Paraguay and Brazil, this species is best grown under Cattleya conditions, allowing it to dry slightly between waterings. Its large white lip is delightfully accented with a rich lime green throat, flowering from Spring through Summer. Very Highly Recommended !